In 2020, the Doss Heritage and Culture Center is planning to open a new addition to the facility, Pioneer Cabin Park. 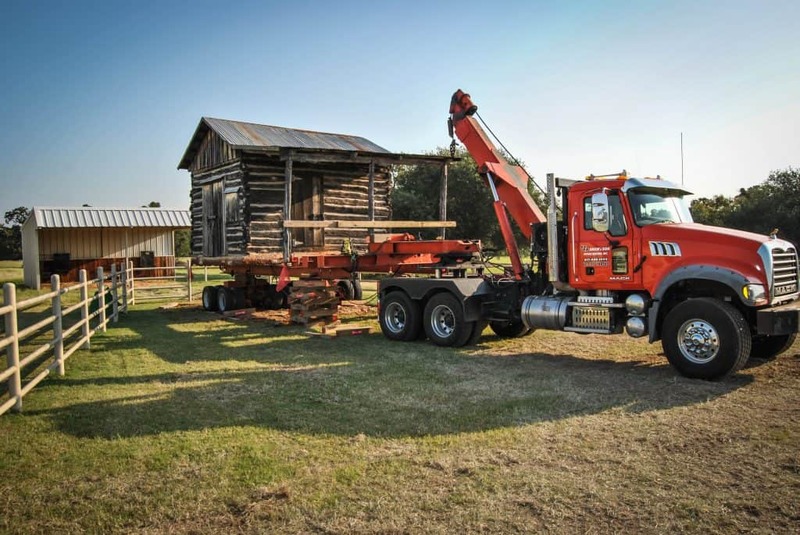 This interactive living history park will be the home to five historic log cabins from around Parker County. What began with a partnership with Weatherford College in 2013 – allowing the Doss to lease additional land behind the museum facility has made much progress over the last 5 years and now we are in the home stretch! To date we have moved 4 of the 5 cabins to the property. Restoration has begun on all the cabins including the rebuild of the Double Log Cabin which has been generously underwritten by Jerry and Vickie Durant in memory of Curtis and Jean Guess. The McDonald Cabin, which will be used as our education cabin, will be in use this summer for educational camps and will include an education garden in additional to many other hands on pioneer activities that connect future generations to their history! The education cabin is also wheelchair accessible and allows visitors and children of all abilities to explore the life of a pioneer.